In last week’s confrontation in Jinja, between Col. (Ret.) Kizza Besigye, the Jinja District RDC, Eric Sakwa, and the FDC (maybe People Power) supporters and the Police, respectively, certain things which were said and done, will likely turn out to be momentous. Amid the hostility, Besigye uttered in no uncertain terms that President YoweriMuseveni would be defeated, if he stood in 2021.There are a number of ways of looking at this. Remove Besigye from the equation for a moment. Robert Kyagulanyi a.k.a. Bobi Wine, of People Power, has come out strongly that he is contesting the 2021 presidential polls. This has shaken up the NRM political establishment to its core. Bobi Wine represents the youth (the abazukulu), who are the majority population in the country, both in general and voting population.And, in the short time Bobi Wine has been in politics, he has managed to encapsulate the unemployment resentment of the Bazukulu into a potent voting issue. Music has been his weapon; on the NRM side, is the gun, however, it is increasingly becoming obvious that the guitar is mightier than the gun. It is the reason there is a concerted effort to confine Bobi Wine to the night clubs. Protest music has become the in-thing against dictatorships. In Africa it started with Nigerian FelaRansomeKuti. And he met a bad end from dictatorship of Sanni Abacha. The mantle has been assumed by Fela’s son, Femi Kuti, who is equally, if not more fervent, about the corruption and theft of public funds in Nigeria. The global analysis of censorship index is finding out that the political leaders are turning their guns towards areas that were previously not regarded as politically conscious. Ditto Uganda: combine this with the general and economic malaise that has engulfed the people; and obviously the NRM has got to be worried. Its reaction is multiple. For Museveni, its septuagenarian leader, the immediate solution has been to remove the age limit for which a person is eligible to stand for the presidency. That would have afforded him unlimited access to the enviable office. However, with the ascendancy of Bobi Wine, 37, this has been overtaken by populism. Now, there is a move afoot to hike the lower age at which a person is eligible to stand. Previously, the Constitution has tied it to the voting age, which is 18 years. To eliminate this threat that Bobi Wine is posing, the NRM wants to amend the Constitution to read that: for a person to stand for president, he/she must not be less than 45 years of age. Still, if one is politically myopic and only looks at Bobi Wine, there are other looming issues and people in the political horizon. The one factor is the level of tiredness the population experiences towards the length of the NRM in power, without conceivable development results, to alleviate the endemic poverty.The other one in mind immediately, is the possible threat from the wider Opposition; and into this one has to factor in the FDC. However much weakened the Opposition is considered to be, the NRM is no better, more or less like a shell that is being cocooned under Museveni’s leadership. If that is removed, the whole edifice comes crashing down; so Besigye comes into the picture. Look at it this way: Besigye is not the FDC president, Patrick OboiAmuriat, a.k.a. POA, is. In the looming 2012 poll, POA has disappeared from the electoral scene. 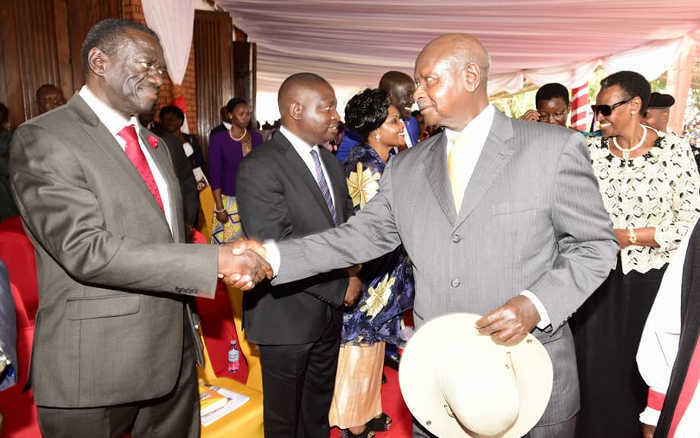 If, as the NRM now looks likely to remove the presidential elections to be substituted by parliamentary polls, such that the leader of the winning party becomes the automatic president of the country, then POA would be a stumbling block. Because, going by the Besigye’s intensity of his campaigns so far, he would be appointed by his party to be the leader of the parliamentary vote, consigning POA to be simply an ineffective party president. Why is Besigye going for a fifth term of head-to-head contest against Museveni; why does he not leave it to POA? This has again raised the issue of a political syndicate between Besigye and Museveni; in effect suggesting that Besigye is simply a mole in the FDC for the NRM. Previously, he has strenuously denied being a stand-in for Museveni to be in perpetual power. 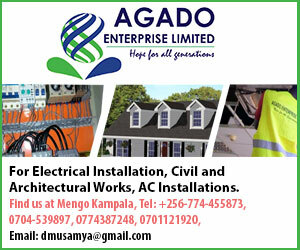 Yet it is increasingly difficult not to assume that Besigye’s actions will merely be to stall other contestants from ascending to power in Uganda.